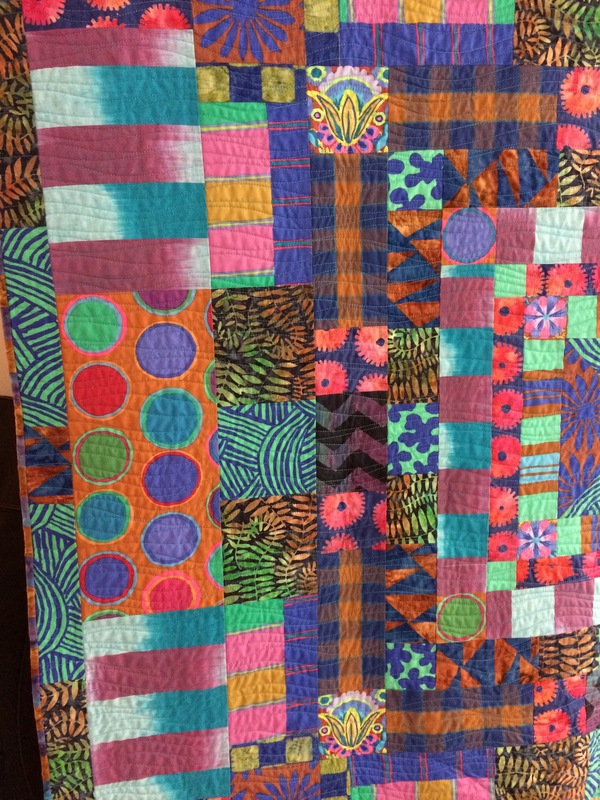 I’m so excited to participate in the Kaffe Fassett Artisan fabrics blog tour! My first exposure to Kaffe Fassett fabrics was in a small ad in the back of Threads magazine way back when…early quilting days around here, possibly in the early ’90s (no, not the 1890s). I spied a fabric printed with rows of what looked like marbles to me. Why, yes, I would like to own some of that! So I MAILED AWAY for it (maybe even sent a SASE along??). And waited. And when it arrived, I petted it and placed it in my tiny fabric stash — always where I could spy it. It gave me a thrill every time. 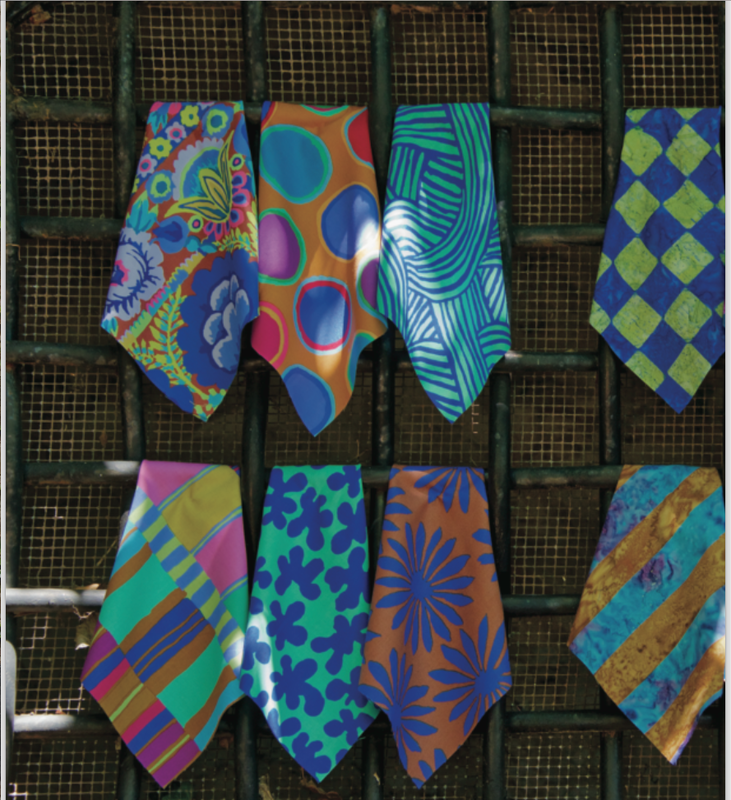 And Kaffe Fassett’s fabrics continue to do that all these years later. 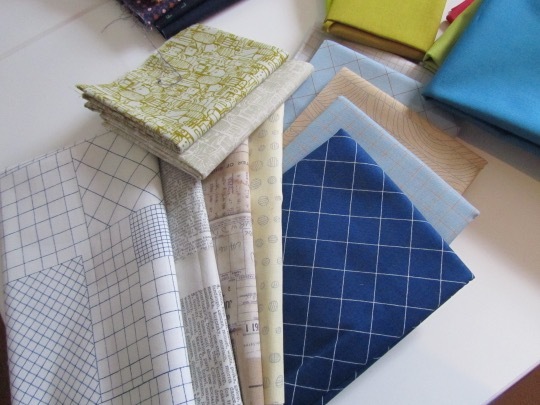 They are my go-to fabric choices so many times because I know they will give me a thrill. Every time. The colors, the designs. Utterly beloved. So, I said, “yes, please” when asked if I would like to participate in this blog tour. A large box was expeditiously deposited on my porch. The dogs barked at it for joy. OK, maybe it was the delivery man they were barking at. Joyfully, nonetheless. They knew fabric was inside. Beautiful fabric. The Artisan collection combines printed quilting cottons, batiks, ikat stripe, woven checks. Large and lovely florals, checks, textures, stripes and those jumbo spots! You know I’m going to swoon now, yes? You should too. We’ll take a moment. I knew I wanted to make up a quilt to show you. I knew I wanted to use a pattern from one of the MANY Kaffe Fassett books. But which one? I had most recently made the Hot Wheels quilt from Heritage Quilts, so why not dip back in to that one? I chose the Sunset Stripes pattern, mildly modified to accommodate some fussy cutting, and I used fabrics from the blue color story. Immense fun was had turning stripes this way and that, lining up colors and selecting flowers for prime locations. 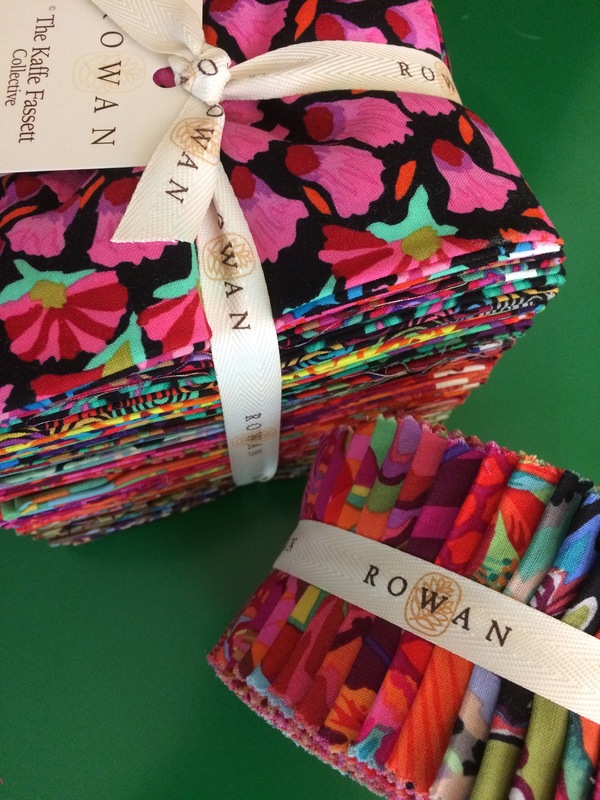 Ah, fabric bliss. 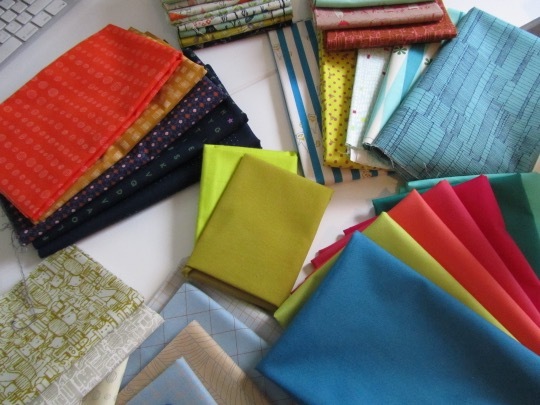 You can find the Kaffe Fassett Artisan fabrics in finer quilt shops starting in November. I urge you to acquire some. It will give you a thrill! Oh, and I want you to meet our new family member, Kasha. She pops up on my Instagram feed from time to time probably because of her graphic color sense and her general cuteness. Hi Kasha! Immediately after the living room photo shoot, the quilt fell right onto her bed. I came back in the room to find her making herself comfortable on the quilt. Um, no. General cuteness notwithstanding. So, thank you ever so kindly to Nancy Jewell for including me in the blog tour even with my relative blog dormancy. I hope this stop has inspired you. I hope you feel the Kaffe love! The lovely folks at Westminster were kind enough to send along some giveaways for you. So, leave a comment by 11:59 pm EST on October 27, 2016 and Random Number Generator will help me select two winners, one for a gorgeous fat quarter bundle and one for a gorgeous design roll of Kaffe Fassett Collective fabrics. Happy stitching and thanks for stopping by! 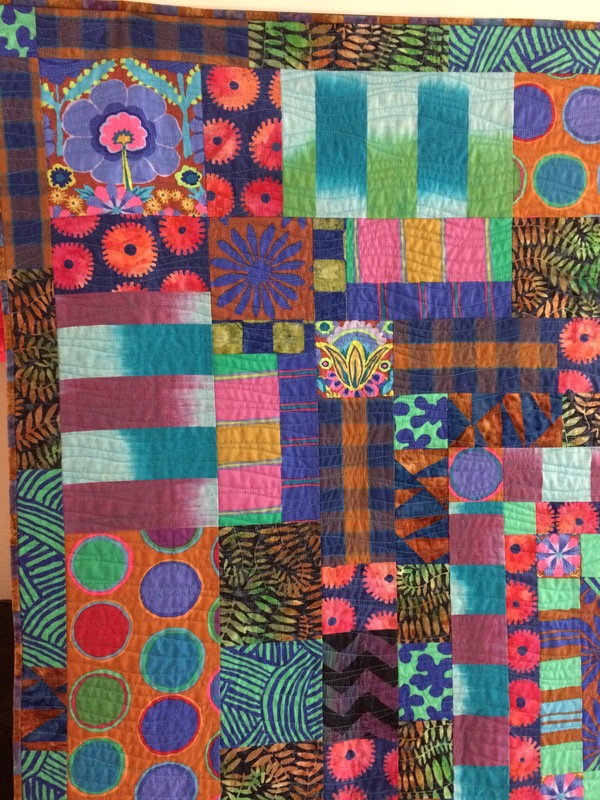 You may be aware of my longtime love of Kaffe Fassett’s fabrics. 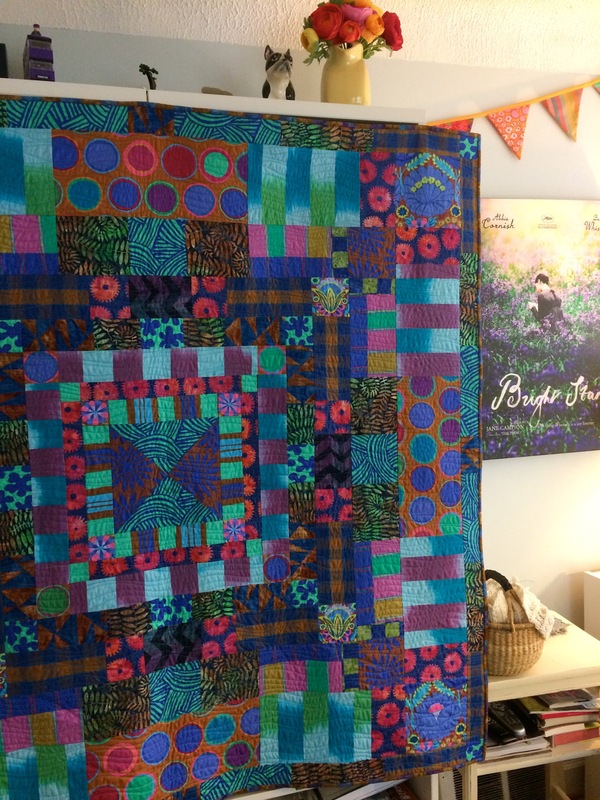 If so, you would know I was beyond THRILLED to be asked to join the Kaffe Fassett for FreeSpirit Artisan blog tour! Have you heard about Kaffe’s very special upcoming collection called Artisan? Oh my! It is a milestone collection and combines cottons, batiks, wovens, florals, textures, STRIPES, DOTS in one range. I am here to tell you it is AWE-mazing! I have worked up a quilt in the blue colorway, and I fall in love with it a little more every time I see it (daily basis in the sewing room). 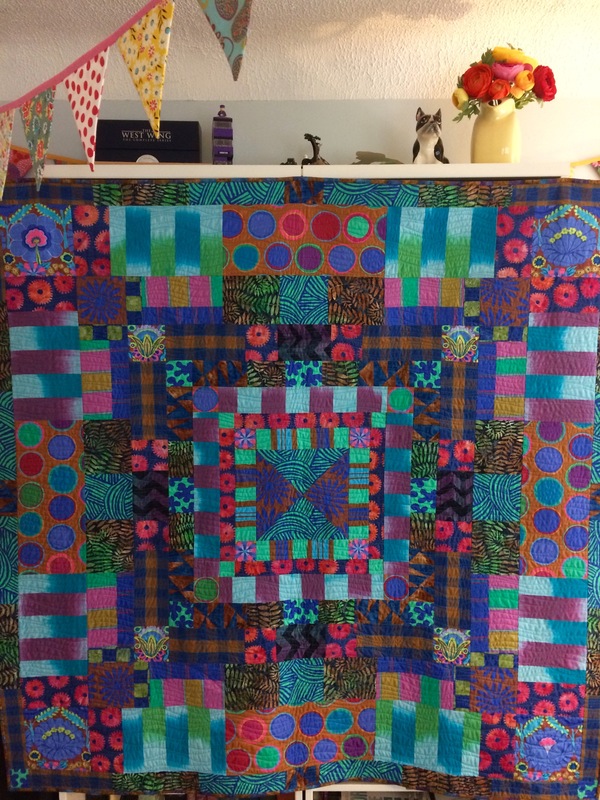 Kaffe Fassett is the undisputed genius of color with decades of experience from his work in painting, knitting, needle arts and patchwork. His first ever quilting fabric collection, traditional hand-woven stripes from India, has become the inspiration behind his newest range of fabrics. Introducing Artisan by Kaffe Fassett for FreeSpirit, a boisterous caravan of color and exotic textures in appropriate fashion and patchwork patterns. Upon arriving in England in 1960, Kaffe was struck by the flare of colorful fashions and the use of two-color bold prints. Here, Artisan echoes the simplicity, boldness and high colors of this glorious time, playing upon a Bohemian lifestyle of mixing textures, designs and colors. Composed of premium 100% cotton, hand-dyed batik, provocative yarn-dyed woven and trendy Ikat fabrics, Artisan speaks to a time when hand creation included dedication, appreciation, skill and love of the craft– in total, a bold and impactful fusion of color certain to broaden the creative scope of prolific makers, spanning beyond traditional quilting. We did our first big appliqué block for the coverlet. 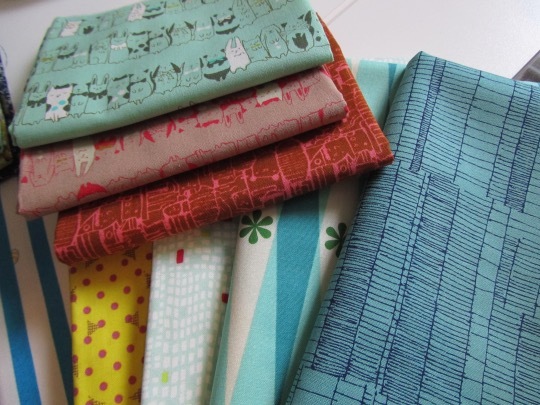 I used my A-number 1 favorite fabric in the sewing room, the Clothworks postage fabric designed by Karen Roti. After cutting the appliqué, I had to re-supply the sewing room with it. Here’s a mix of blocks from months 1 and 2. This is the stage at which I’m still a little unsure whether I’m happiest with my fabric selections, but working away is what’s important to me at this point. For those of you who are also working away, I hope you’re having as much fun as I am! Hello! Hello! Care to join in? 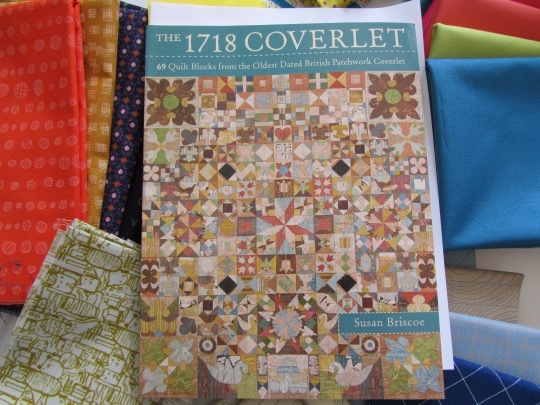 Sarah and I are embarking on a quiltalong for the most wonderful quilt, the 1718 Coverlet as described in Susan Briscoe’s book, The 1718 Coverlet: 69 Blocks from the Oldest Dated British Patchwork Coverlet. Let’s face it, an “along” in which I am co-responsible for hostess duties is pretty likely the only way I will ACTUALLY FINISH such a quilt. I will not relate my history of such (Dear Jane, for example…) for you to for shame. Today is a new day and February begins the quiltalong. Good intentions. So with all that said, here is how I propose to run the Quiltalong, and some things you need to know. *Instructions on which blocks we are making each month and pics of the blocks we have made, tips etc BUT NOT MEASUREMENTS will be on my blog and Sarah Fielke’s blog each month. Sarah and I will take turns to write the blog, month on, month off and we will both post on social media and our on blog when the new month’s block numbers are posted. so please get involved, it’s great to see what others are doing and be inspired by it. Sarah and I are both happy to be your Facebook friends and your Instagram friends, so you can find us under our names on Facebook and as @sfielke and @alobsiger on Instagram. and the museum where the quilt is housed does too. *Starting with February (i.e., right now! ), the 1718 Quiltalong will run for 11 months. In February we are starting with only 9 blocks to give you an easy start (and seeing as February is already half gone! ), and they are all pieced blocks not appliqued except for one. The other months will be broken down into groups of blocks (more at the end of this post). This is just how I’m proposing to do it. If you want to do it another way, slower or faster or anything else, that’s just fine and you can still quilt along with us and post your progress! All Sarah and I are doing is providing suggestions and a few tips, inspiration and encouragement. 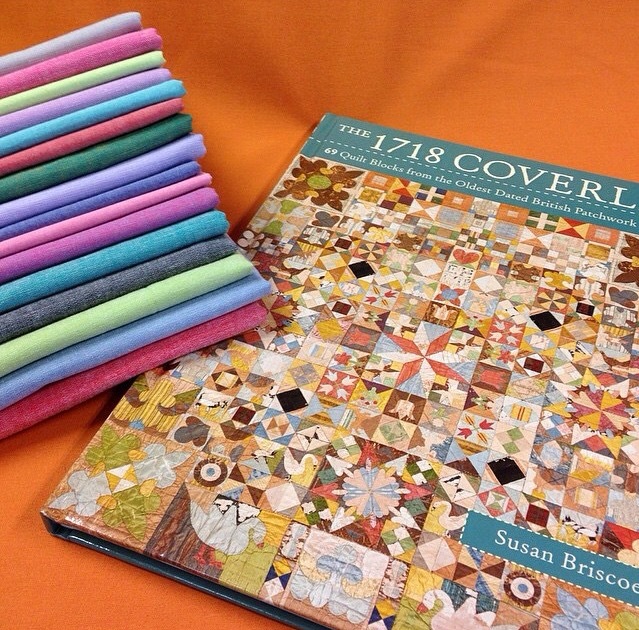 *Everyone joining in MUST own their own copy of The 1718 Coverlet by Susan Briscoe. It isn’t OK to look on with your friend’s copy, or photocopy from their copy or from a library book. That’s a breach of copyright. You need your own copy, and trust me it’s well worth it because the book is lovely. 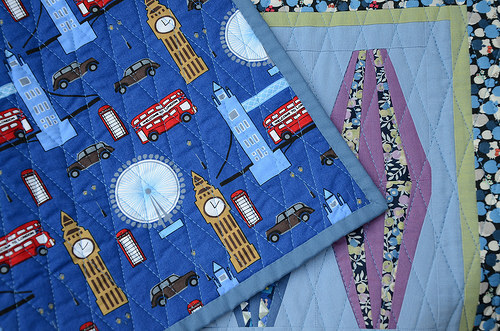 *Please feel free to chat about your blocks and your process and the quiltalong online or on your own blog – please link to my blog and/or to Sarah’s blog when you do. But PLEASE, don’t post tutorials or block measurements or any other kind of instruction other than little tips on what you found easiest or your colours, etc., because that’s a breach of Susan’s copyright too and that’s not OK. Right! Now for the fun stuff! 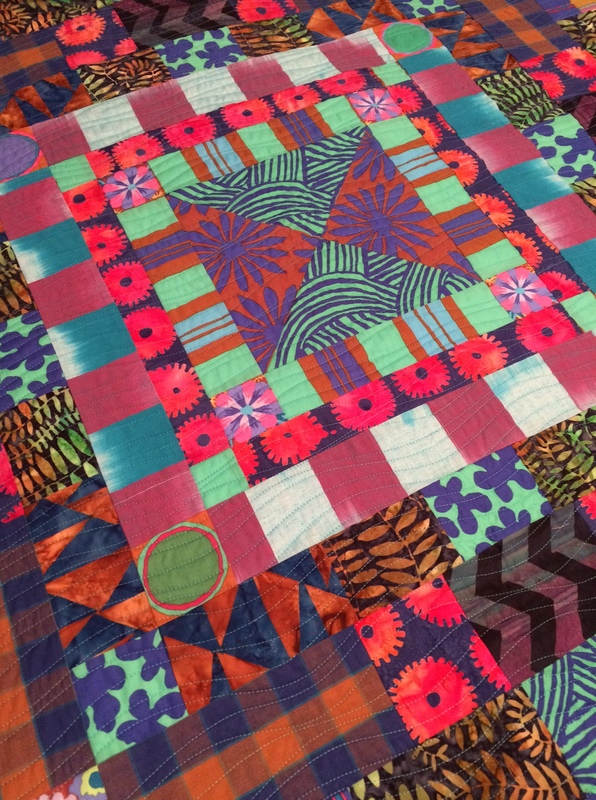 Sarah and I chatted about how to approach the quilt – it’s tempting to make it all in rows, or all the same block numbers first, but we felt that left us with months where EVERYTHING was going to be applique and no piecing, and vice versa. There’s a lot of blocks and a lot of applique so we wanted to break everything up a little more manageably. and they also will do the pack or the book on its own, and they have some nice woven stripes, etc., like Sarah is going to use too. Drop them an email and they will sort you out. Some words about method: Like Sarah, I am making the blocks following the modern method. Too, I will make blocks by hand and by machine. I’ll machine piece the February blocks that are pieced and hand appliqué the one appliqué block. I’ll figure out my approach with each block. 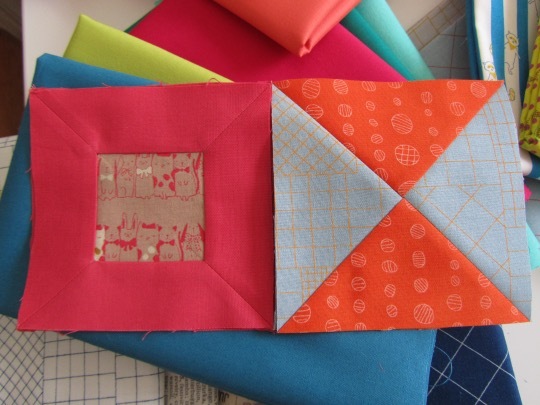 I am not averse to hand piecing and will use that approach whenever needed. Please remember that this is just our suggestion! If you want to start somewhere else or approach the quilt in a different way then by all means, go for it. So, I think I have a start here as far as fabric flavors go. It will be a mix-in-as-we-go thing, I suspect. But I will put this batch together in an easily accessible place and we will go from there. I’m already not positive about that light blue in the hourglass blocks. It was meant to be beige but I got a little over excited about the fact that is has an orange print…. In any event, we hope that you might jump on board with us in whatever manner you’d like. We’re doing it for fun and support. And fun. With that, I’m taking my ginger tea and going back to the sewing room to make up block 5. It gets nice and toasty in there when the iron is on and I need that today. 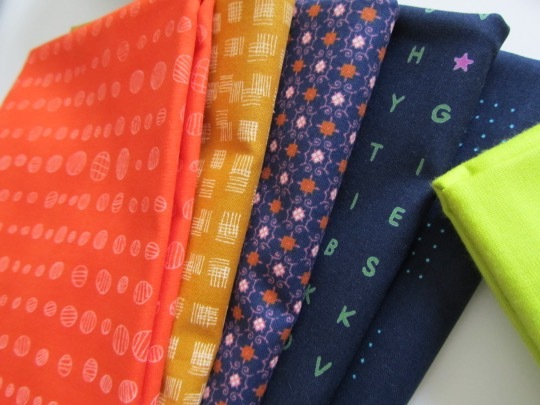 Little Quilts Blog Tour & Mini Quilt Swap — Next Stops: Lilysquilts and Poppyprint! We have two lovely bloggers helping us out this week!! Lynne from Lilysquilts and Krista from Poppyprint! If you have not already done so, please dash over to Lynne’s post on the Little Quilts blog tour and swap (AND BOOK GIVEAWAY!) 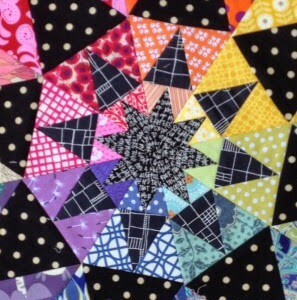 and see what she’s done with Miss Sarah’s Drawn Together quilt. Krista has also played with one of the paper pieced designs from the book, my Cocktail Shakers pattern. This one is so much fun. I have in progress and upsized version and it great fun to play with fabric combos! I love that Krista changed hers up a bit also, making it into a tablerunner. Anyway, we’re so pleased to have Lynne and Krista agree to join our swap and tour! Thank you both very much!!! 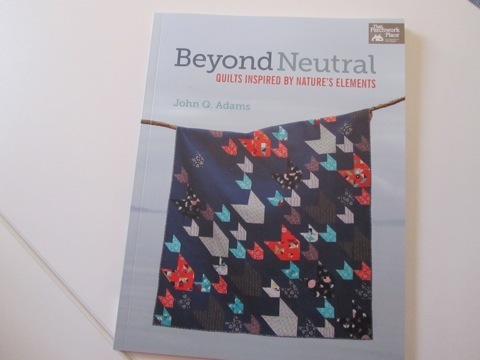 John Adams, aka Quilt Dad, is one smart cookie and here he has gone and written another very smart book called Beyond Neutral: Quilts Inspired by Nature’s Elements. In it, he encourages us to look beyond white and cream and black as options for background colors in quilts. I believe John has met me before. In 20+ years of quilting, I believe I have used a cream background once. Recently. It was a small quilt. And it needed to look just like the pattern I was following. 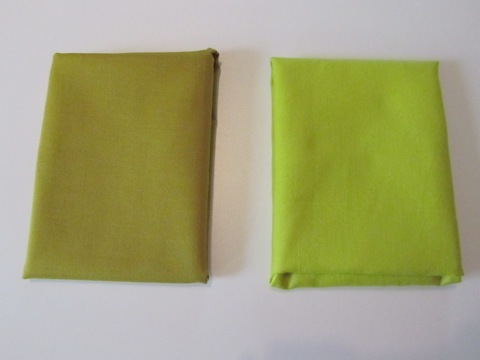 I often see quilts with cream backgrounds and say to myself, “I should do that sometime.” I don’t know, when push comes to shove and I’m actually making a fabric choice for a real-life project, the acid green always, always seems more appealing (please note the searing blog background…). I was folding these fat quarters at work just the other day and my heart went pitter-pat. Seriously, my pulse quickens when I see a really good color. AND, I will go one step further to say that I do indeed see these lovely colors as “neutrals.” They are the zing that can surround and showcase a collection of like-minded prints. To me, that’s when things get exciting — when you can find a background and print combo that makes you gasp and then squeal. It’s a regular thing for me when it comes to playing with fabric. Isn’t it for you? That’s why I think John’s book is so brilliant. I think it helps a quilter see other options and to find that inspiration right in the nature that (hopefully) surrounds us. 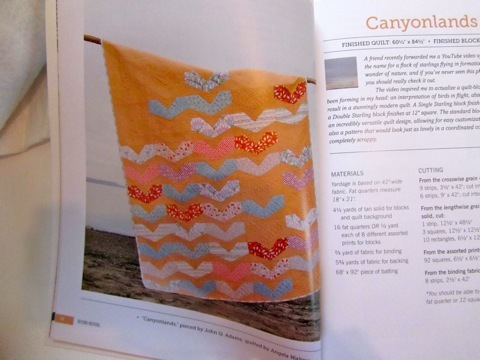 I love John’s Canyonlands quilt with its warm, rich tan background (sorry that it’s reading a little orange-y in my photo). It really makes the lighter prints sing. John’s inspiration was a video of a flock of starlings. Triton Cove uses a light aqua shot cotton as a background. I find shot cottons very thrilling because the warp and weft are two different colors. This adds so much interest and sparkle and depth. 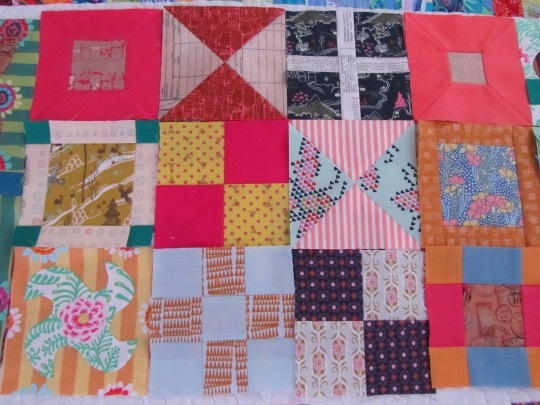 In this quilt, John cut into some of his most precious fabrics. I love his encouragement to cut into our favorite fabrics and USE them. I came face to face with my problem with fabric collecting when my basement flooded this summer. I looked at it this way, I got to visit all of the fabrics I’ve been collecting all these years. Let’s just say, I have too many favorites. My worry always is to, as Oprah might say, let the fabric live its best life. To select a design and background that seems to me to be the best possible use of a most loved fabric collection. And then I get stuck. For perhaps years on that choice and selection. So, I’ll use Triton Cove as my inspiration and John’s words of wisdom as encouragement. Also, I think this quilt design does indeed showcase these gorgeous prints. 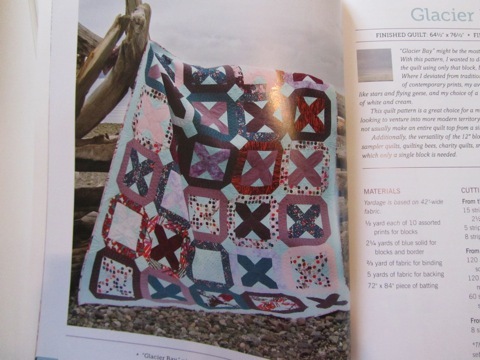 Glacier Bay is another favorite — because, hello, x and o in a single quilt. I love the cool mix of fabrics. I love the fabric placement. 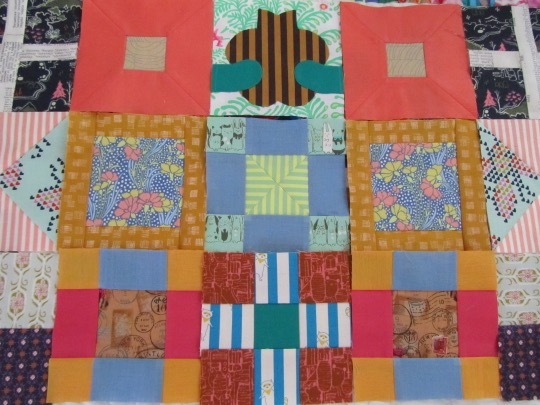 I think, in fact, this is one of my favorite ways to use fabric: select a group of prints you like and use them in all of the parts of the blocks — frames, centers, what have you. 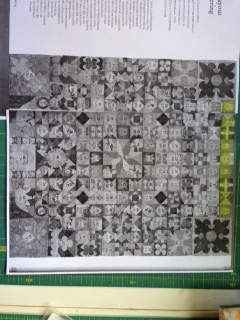 All of the prints are speaking to each other from each location in the quilt. Bliss! The pale aqua background is a real winner here. It sparkles as cornerstones, if you will, beside the darkest prints and makes the lighter prints recede to lovely effect. But, I think Pacific Crest is my absolute favorite! I can just see the waves. I’m also having a navy moment at the moment. My navy/indigo moment started two years ago when I bought a car that was almost black, but no, upon closer inspection, such a terrific shade of dark blue. I can’t get enough of it now. Before that car, navy and very little other blue was a part of my fabric stash. Now I think it enhances just about everything in a mysterious kind of way as it does in the Pacific Crest quilt. 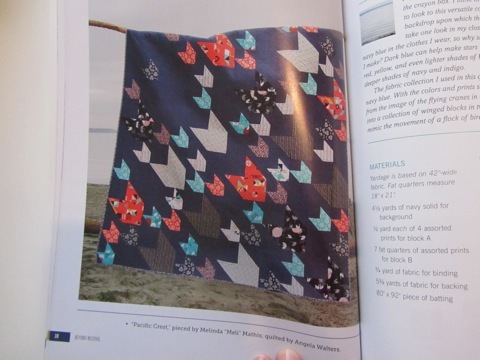 I mean, look how fabulous it looks by even the darkest prints in the quilt! Smashing! To be quite honest, when I was selecting some favorites to put in this post, every time I turned the page, I saw a favorite. As I said, John has written a very smart book with fantastic designs throughout. His insights and encouragement from natural inspiration are well worth adding to your book stack. I have kept the book in sight since I got it and have been flipping through and and dreaming and planning for a while. 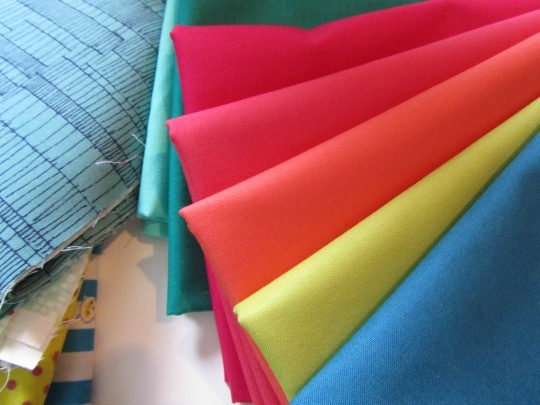 When time allows, fabric will be cut! Bravo, John!!! And thank you for including me in the celebration of your new book!! John’s publisher, Martingale, are generously providing an ebook of Beyond Neutral to one of my readers. Leave a comment, making sure there is a way to contact you, by the end of the day on September 26 and we’ll do ye olde random selection to choose a winner. Good luck! 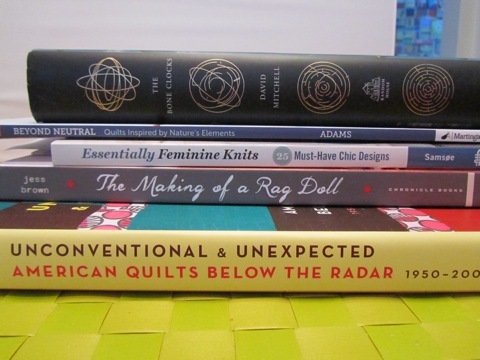 Little Quilts Blog Tour — Next Stop! Greetings! 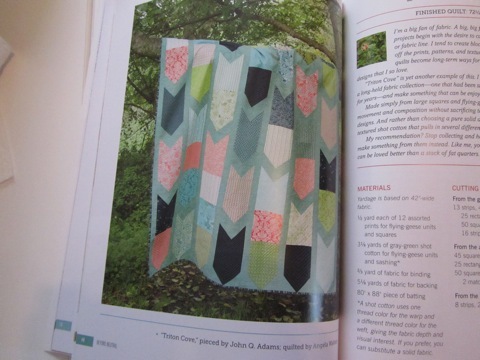 The Little Quilts blog tour is rolling along! This week, stop by and visit the lovely Nedra over at Cactus Needle! Woot! !